Hello all. This is my first post on this forum. I apologize if someone else has asked these questions, but I haven't been able to find any posts on the forum in my searches. If they have already been asked, then forgive me for duplicating questions, and please point me to the relevant topic. 1) What is a good place to buy steel to make armor? Note: I live in Canada, so my Home Depot does not carry the same stock as it does in the USA (I have seen lots of posts saying "just get this from Home Depot, but have never been able to find the steel there). Lowes seems to carry some stock up here. I was just wondering if there were better places to buy from. 2) I roughly understand there are manufacturing differences between hot-rolled, cold-rolled, and stainless steel, but what are the differences when it comes to making armor? I want it to be more durable in the long term than shiny and pretty. I also cannot heat the metal to shape it, so if that is a factor, then I cannot use that type of metal. 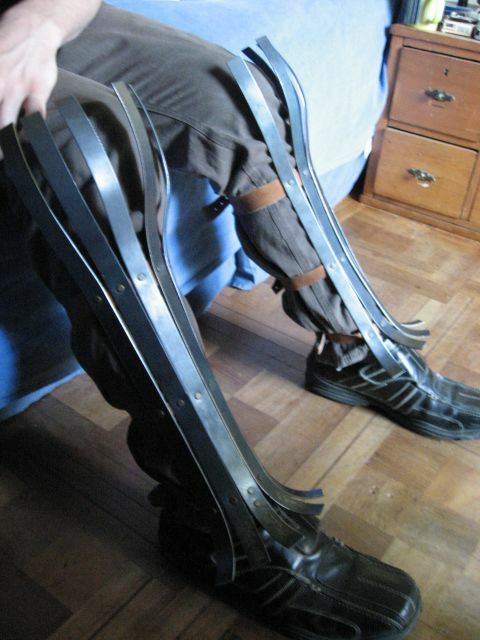 3) I have seen various designs for splinted armor, and was wondering which was more period accurate: splints right next to each other, and flat till the edge, with leather underneath the entire thing as this picture seems to illustrate ( https://ecclecticantagonist.files.wordpress.com/2012/06/varangian.jpg ) or with gaps in between and curved away from the limb at the edge, held together with a few belts/leather strips as this one shows ( https://s-media-cache-ak0.pinimg.com/736x/55/09/ae/5509ae3f41b2a8d72d2841067968dc95.jpg ). The second option seems potentially easier to make and more comfortable, unless I am mistaken, but which one is more accurate? The best place to put this thread is the armourarchive and you wouldn't be allowed to fight heavy combat if you don't have rigid elbow and knee protection. Oh, ok. I didn't see that at first when I was looking at threads. Is it possible for me to move it, or does an admin need to do that? Good to know. My knowledge of heavy combat rules is limited to say the least. Sorry, Philip I completely misunderstood that the armorarchive was a different website and not a different thread. Thanks for the help! 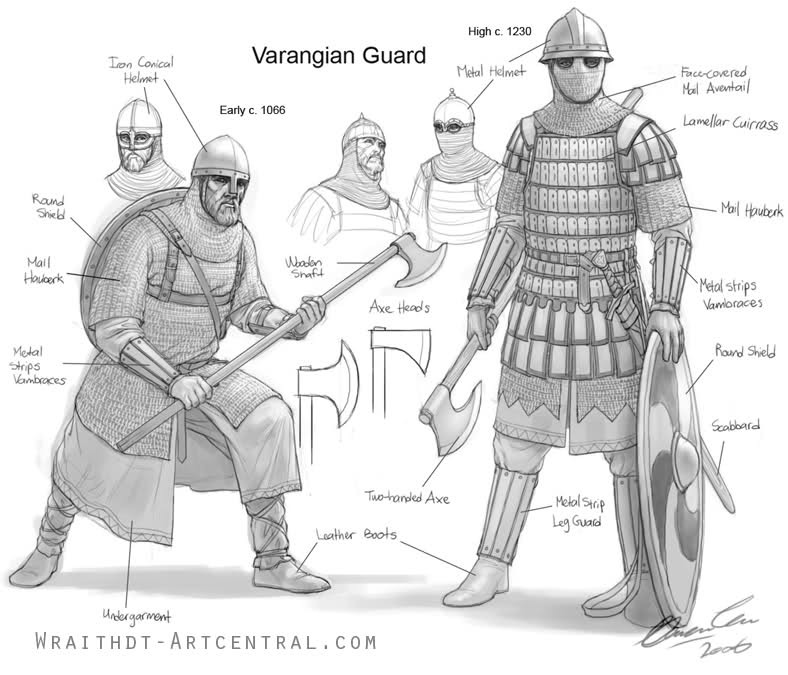 To "correctly" portray a varangian guardsman you don't have any historical option for SCA/AE/HMB fighting, but that doesn't mean it has to be an ahistorical mishmash of vendel and lamellar. I'd suggest hidden armor over ahistoric armor. make or buy SCA legal soup can arms, legs, belly plate, and shoulder cops, then wear them beneath a tunic with an external half sleeved maille haubergeon. pair it with a Helmet with side and face protection hidden beneath maille and you'd have a passibly historical look.